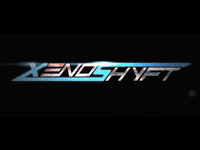 "In XenoShyft, you and up to three friends take on the role of different NorTec Military Divisions — The Science Labs, Med Bay, Armory, Weapon’s Research, Barracks, and Command Center — that make up the NorTec base. Equipped with special abilities unique to each Division, players must protect the base against waves of the relentless Hive while field operations are completed on the planet. Everyone must work together to ensure NorTec’s operations remain safe or everyone will perish. The XenoShyft app features full internet multiplayer, so you and your friends can battle the Hive from anywhere! And an easy to follow, quick tutorial is included to get you in the game as fast as possible. Expansions are available through in-app purchases.